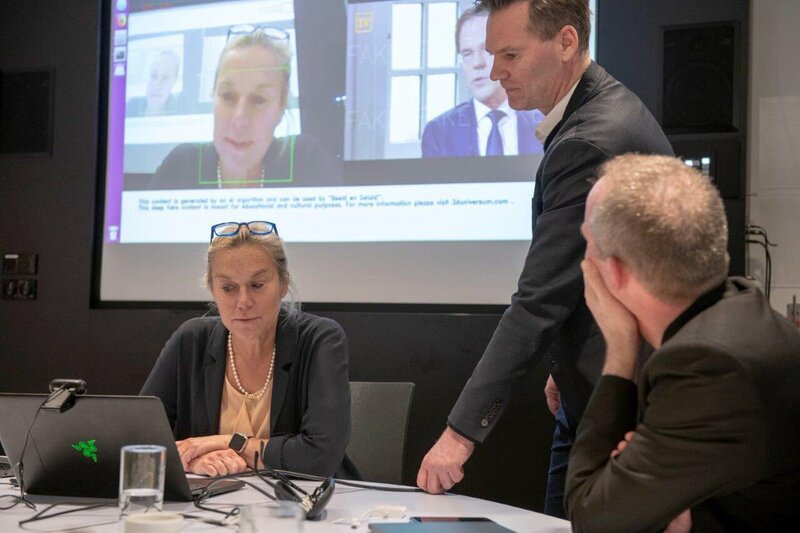 Sigrid Kaag, Minister for Foreign Trade and Development Cooperation to the Sciencepark Amsterdam, sees how a facial recognition camera can make her act like Prime Minister Mark Rutte. What would you think if you saw your face in a video saying things you’d never say? Or see yourself speaking a language you never learned? We live in a time when it’s possible, through the use of technology, to capture our “persona” and replicate our faces and voices in real time. Take for example the visit of Sigrid Kaag, Minister for Foreign Trade and Development Cooperation to the Sciencepark Amsterdam, which used the facial recognition camera to make her act like Prime Minister Mark Rutte. This is an example of what could be done with artificial intelligence (AI) and how it is important to be vigilant with how we go about these technologies. It is not only the politicians who are vulnerable to these technological advancements, but citizens and businesses alike. How we move forward through the digital age and how we use digital innovations for inclusive economic growth will determine the future of automation. 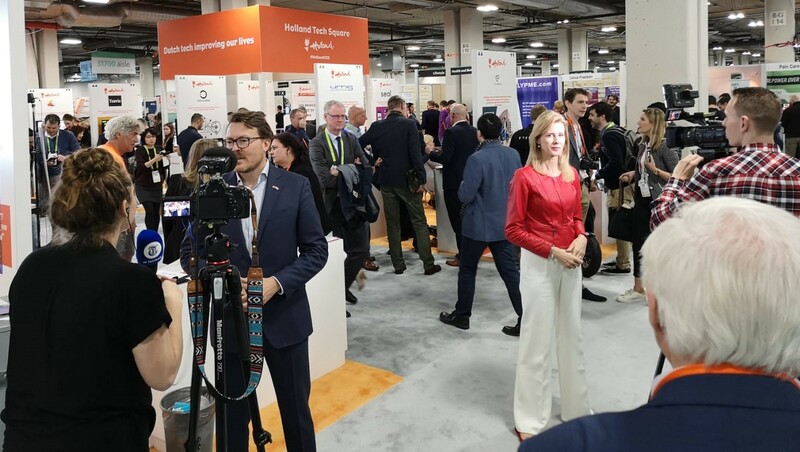 Minister Kaag will be accompanied by a business delegation of 20 companies and experts in AI, blockchain, and robotics this week during a visit to Silicon Valley. The goal of their visit is to foster fruitful discussions on these three technologies in Silicon Valley. Not only is this mission an opportunity for participants to discuss their expertise, but it will enable the parties to learn from each other to help make global innovation and trade more inclusive. Home to the world’s most innovative startups and businesses, Silicon Valley has become one of the most important hubs when it comes to AI, blockchain, and robotics. 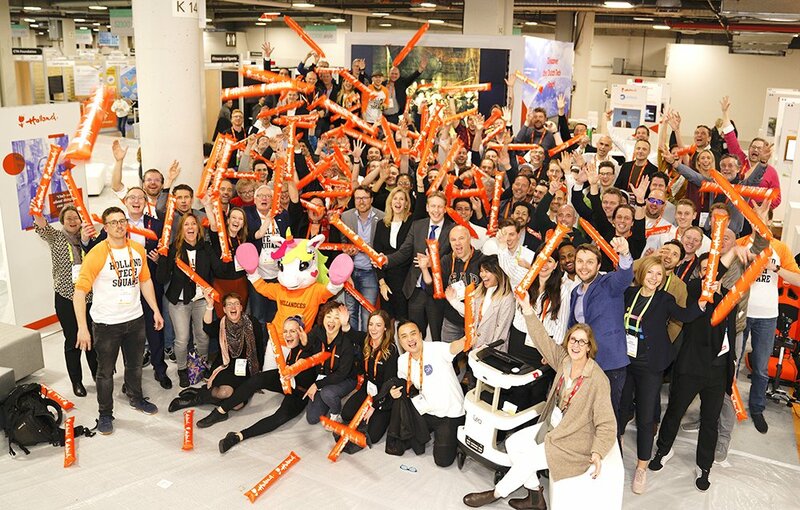 Trade with the Netherlands supports almost 80,000 jobs in California and strengthens the economic ties between Silicon Valley and the Netherlands. Gerbert Kunst, Consul General in San Francisco, sees many opportunities for the participating companies to exchange knowledge and build partnerships with Silicon Valley. Being mindful and aware of the responsibility that is carried with the development of technology is something both Silicon Valley and the Netherlands take seriously. That’s why the event with the World Economic Forum’s Center for the 4th Industrial Revolution on Monday will be a suitable forum for discussion in a time of advancing technologies. The event will focus on making global trade more inclusive and what the role of digital technologies are in achieving the UN’s Sustainable Development Goal 9, a clear-set goal to building on resilient infrastructures by fostering sustainable and inclusive innovation. These are goals that both Silicon Valley and the Netherlands work toward while learning how to use technology in a responsible manner. The Netherlands is aware of these three technologies influencing our society and the future of business processes. That’s why the government has collaborated with businesses to form organizations such as Holland Robotics, AINED, and Dutch Blockchain Coalition. As the leading country in Europe with robotics, the Netherlands is successfully able to apply robotics in business processes and precision technology. Dutch robotics focus on improving business processes, personal lives, and home care. AI has also become a fast-progressing industry in the Netherlands offering solutions from efficient production processes to innovative products, such as self-learning systems used for home care. The Netherlands ranks 18th in the world, as it is home to 200 AI startups. The University of Amsterdam is also building toward becoming the AI hotspot capital, robotics clusters are popping up, and the manufacturing sector is actively involved. The industry has presented its recommendations for the Dutch government’s strategic AI action plan. The Netherlands is a trend setter when it comes to blockchain as well. With the start of the Dutch Blockchain Coalitions, banks, industries, research institutes and government have started working on strategies and the application on, for instance supply chains and logistics.